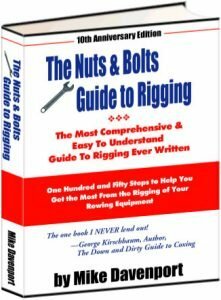 The most comprehensive book on rowing equipment and rigging techniques ever written, the Nuts and Bolts Guide to Rigging is the go-to guide for rowing coaches, rowing athletes, and self-taught individuals who want to improve their skills and get the most they can from their equipment and the sport. Written by expert rowing coach Mike Davenport, Ed.D, the Nuts and Bolts Guide to Rigging offers a full 444 pages of top-level advice presented in simple, easy-to-understand and step-by-step methods, with over 100 illustrations that demystify the sport. The Buy It Right workbook provides you with a clear guide to buying the right rowing equipment, whether new or used. Make the best investment possible and get great equipment at a price you can afford. 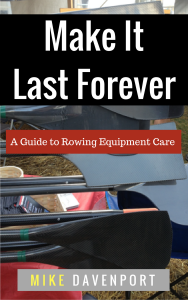 Written by expert rowing coach Mike Davenport, Ed.D, Buy It Right guides you on which equipment to purchase and helps you save before you buy. You’ll also increase your rowing knowledge and skills, so you can spend more time on the water. Learn more Get Your Copy Now! The Make It Last Forever workbook provides you with a clear action plan that includes recommended daily, weekly, and annual maintenance steps to protect your investment and get more life from your equipment. Find out what to do and what to avoid so you can keep your rowing equipment out of the repair bay and spend more time on the water – with equipment you’re proud of, because it’s solid, safe, and looking great. Get Ready Now helps you eliminate the hassles that plague rowers and coaches at the start of the season, putting you on the fast track to a much smoother, stress-free rowing season. 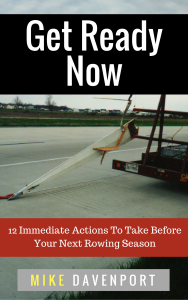 Packed with pro advice, tips, tricks, and oft-overlooked actions, Get Ready Now provides you with a complete checklist of 12 steps and 57 action tasks you can take care of right now, so you’re fully ready to hit the water like a champion. 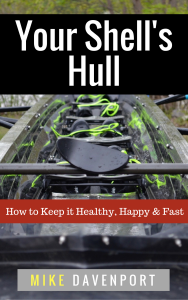 Rowing Slow is the must-read workbook for anyone involved in the rowing sport – and that goes double for anyone who feels they should be getting more satisfaction or aren’t enjoying themselves or the sport. 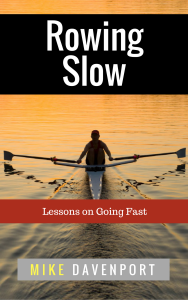 Rowing Slow shows you how to get more out of the sport, and out of your life, for increased satisfaction, a sense of purpose, and more speed, so you can discover, reveal, and thrive in your newfound enjoyment of rowing.